Pay it forward, is doing something nice for 3 people. Those 3 people you have helped/ done something nice for will help another 3 people. It will branch out and the numbers of people you have helped gets bigger and bigger. For my Pay it Forward project my group, Kristel Aguason, Melanie Ilagan, Allison Manuel and I raised money for Siloam Mission. From Monday to Friday we went around Sargent Park School asking for donations and on Saturday we went to Superstore. 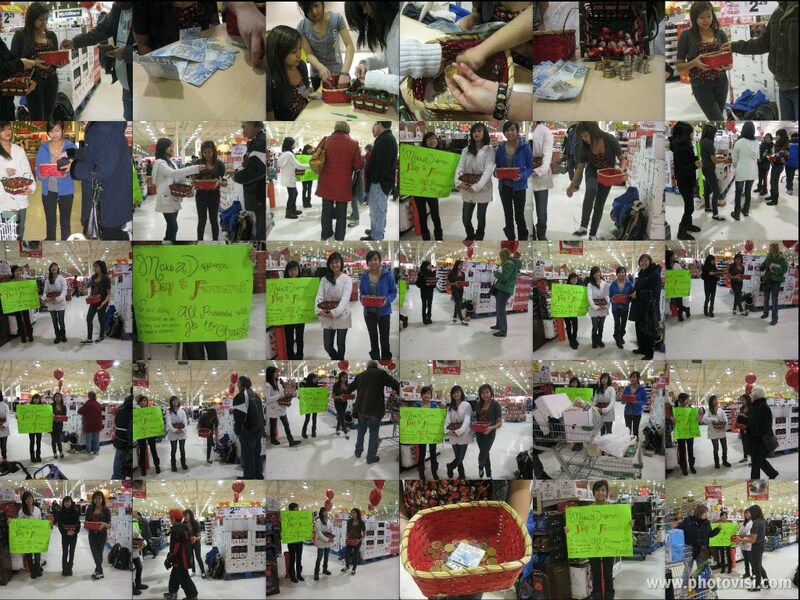 In return we gave them candy canes and chocolate to thank them for their kindness in donating to a good cause. We decided to do this so we can help other people who don’t have all their needs met. While at school we collected around $42. My group and I didn’t think it was much since our goal was $100. While we were at Super Store we stayed by the entrance/exit doors for about 1-2 hours. We made $183! I was extremely happy, and shocked of how well we did in such a short period of time. I didn’t think we would reach our goal but we did and made twice as much as our goal! We have all the money but have not gave it to Siloam Mission. We will sometime during the week. The people who passed us seemed shocked about what we were doing. At the same time, the seemed really glad with what we were doing. There were lots of people giving us ideas on how to attract more people. 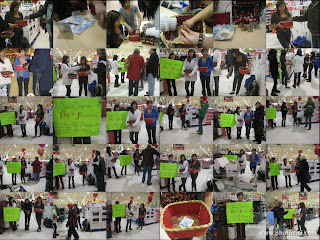 One man who worked at Super Store told us to say what charity we were giving the money too. One lady told us to write Siloam Mission on our poster. Another lady told us to sing Christmas songs. So we took all of their advice and it did make a difference! The other thing that made a difference was our poster. People would walk by and take a glimpse of our poster. Once they read it they changed their mind and donated. On our poster it said “Make a difference. Pay it forward. We are learning about how one person can make a difference. All proceeds will go to charity” and there was another poster saying it’s all going to Siloam Mission. So I think our act of kindness went very well and I’m proud of what we did. The idea of Pay It Forward is important because it helps realize that one person can make a difference to a lot of people. I believe that my project did make a difference to the homeless people, because once we donated those money, it helped a couple people to have a meal and have a proper place to sleep for a couple nights.